Three Aldi reviews in a row? Repetitive, I know, but I'm about to buy a house, so the food blog budget is tight! I swear I have something non-Aldi lined up next, but be prepared to see a lot more budget food in the following months as I hopefully finish the home buying process and get settled. Winter is right around the corner here in New Jersey, and that means it's cookie season! I just wrapped up my 6th annual cookie swap, and even through my kitchen is filled to the brim with homemade cookies, I just couldn't resist some fancy Specially Selected seasonal offerings. 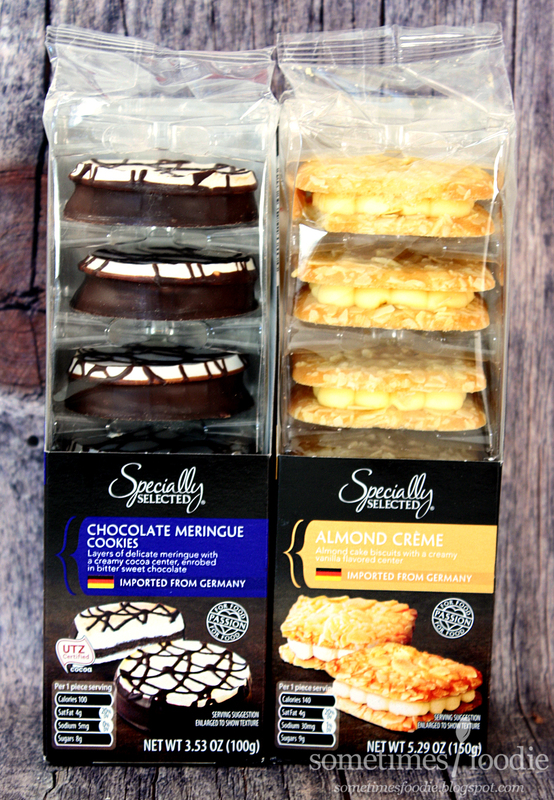 I posted this photo on Instagram a few weeks ago showing off Aldi's four different Specially Selected cookie flavors. 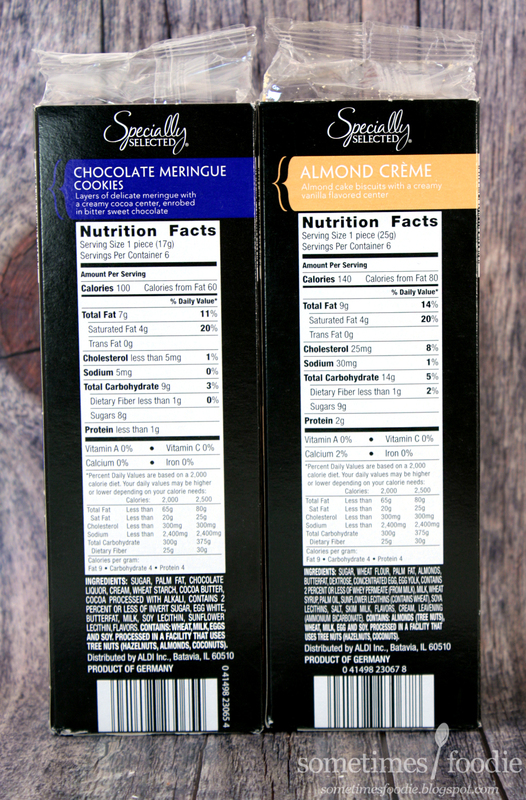 First we have the fancy looking Almond Creme. 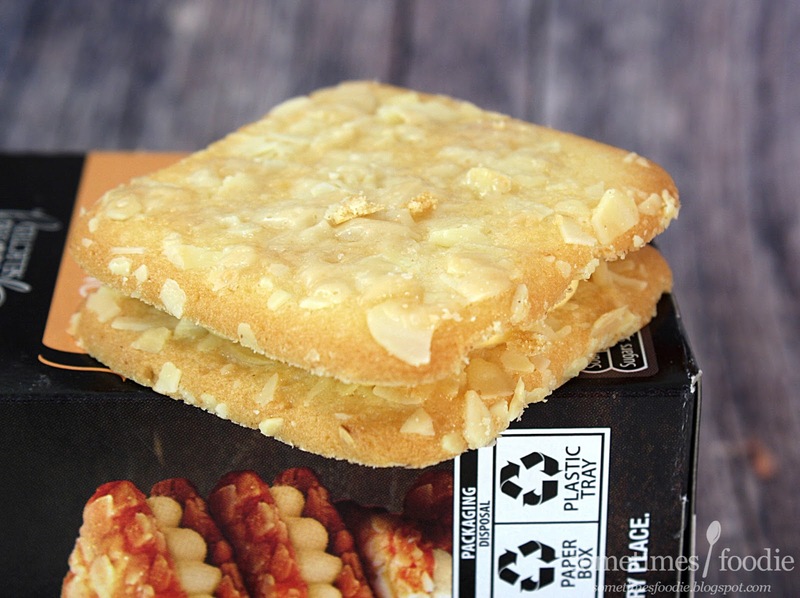 Sadly, this cookie is more creme than almond. The filling was thick, and it had this generic vanilla flavoring that was reminiscent of grocery store cake icing. All that cloying sweet stuff overpowered the delicate almond flavoring in the cookies. I tried to separate the two cookies from the creme, Oreo-style, but they were too delicate. 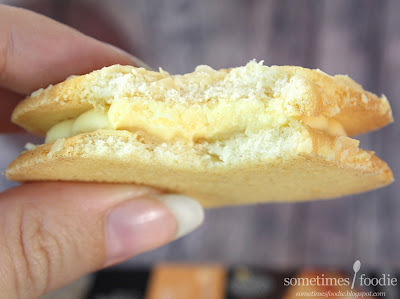 The biscuits broke apart into little almond-y-shrapnel, which was much yummier on it's own (sans-creme), but when eaten together, I didn't care for this cookie at all. What a bummer. If they had offered the cookie portions on their own I would have liked these a lot more, since the biscuit had a nice marzipan-ish flavoring, but that sugary cloying creme was just too much. My sister said she enjoyed these quite a bit, but I personally wouldn't buy them again. Let's hope the next cookie is more worth-while. Next up, the cookie I was most looking forward to, the chocolate meringue. Thankfully, these did not disappoint. They're so good! 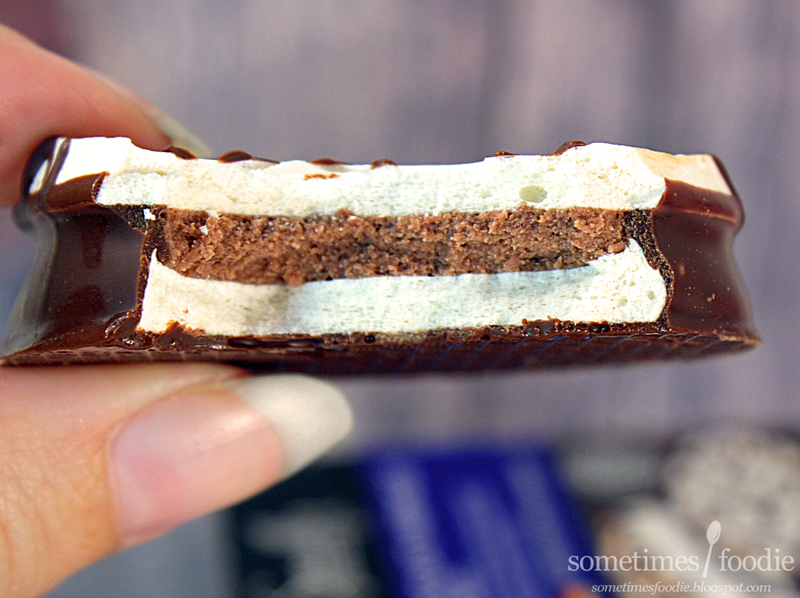 There is a crispy breakfast-cereal-marshmallow-meringue layer with some melty milk chocolate, similar to the filling of those peppermint meltaways I just reviewed, and then another layer of crispy crunchy meringue that's been covered with even more chocolate. 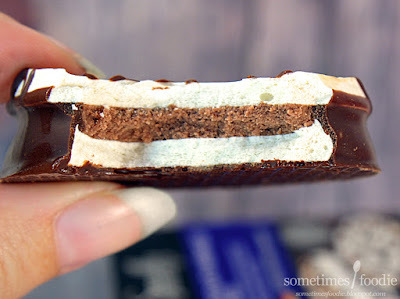 As you nibble on the cookie the chocolate easily overpowers the meringue's delicate flavoring, but you can't cover up that crispy crunchy texture. I love breakfast cereal marshmallows, and this is just like that, but with chocolate, and in cookie form! A chocolate meringue lovers dream! Of the two, I highly recommend the meringues. Not only are they yummy, but they're really eye catching too! And they're something you can't easily make in your own kitchen. (At least not this perfectly flat anyway.) I'm really hoping this one comes back next year so I can stock up! 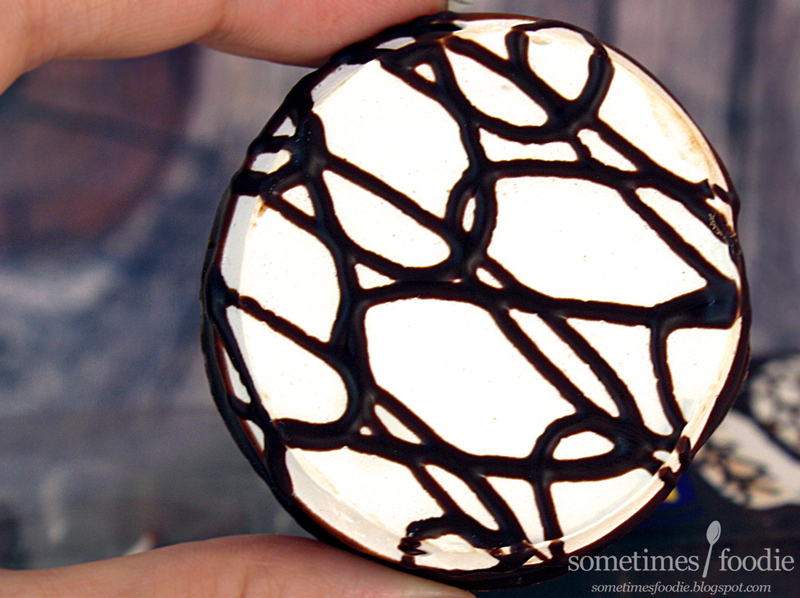 All versions of this cookie were unbelievably delicious. I cant wait to buy them again when they are back and stock up. They are soooo good! 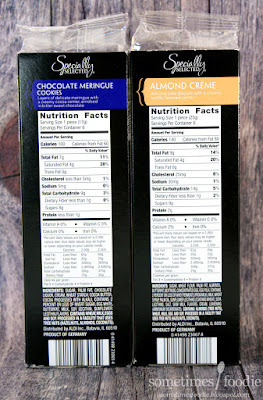 I agree...you must be daft thinking the almond creme tasted like generic crap...they are delicious! If you like those, you really out to try this recipe. 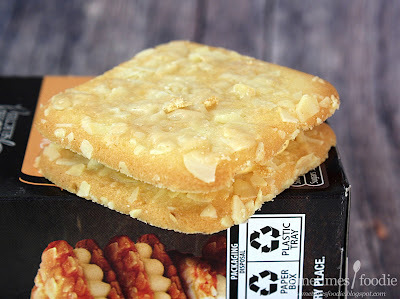 This is my favorite almond cookie of all time. If I hadn't of made those cookies before trying the ones from Aldi, I might have been more impressed. Re: The Chocolate Meringue... I love chocolate and I love meringue. Put together in this cookie, I was in love. Unfortunately, when I went back a few days later to get more, they were all sold out.